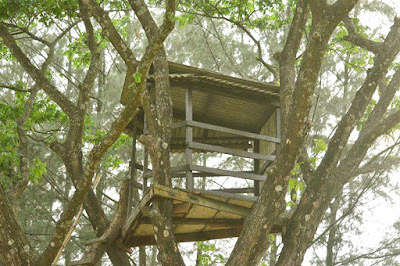 Zinda Park (জিন্দা পার্ক) is also known as Oikotan Eco Resort (ঐকতান ইকো রিসোর্ট). This is basically an eco-park. 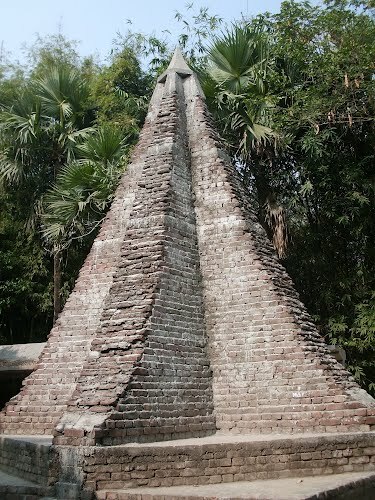 Zinda park is of one the remarkable visiting place in Narayanganj district. It is located in Daudkandi union of Rupganj Upazila. The park is situated with the total area of about 150 acres. There are about 10 thousand trees inside the park with 250 different species. The park is featured with 5 lakes/ponds, paddle boating, tree houses, banglows, restaurant, mosque etc. The place is getting popular day by day because of its calm environment. It’s a place far from the crowd and noise. How to go: The distance of Zinda park from Dhaka is about 37 km. The convenient route is through Kuril 300 feet road (Purbachal highway). You can go Zinda park by bus. The route is from Dhaka through Kachpur bridge via Bhulta-Gausia. Another route is through Tongi Mirer Bazar via by-pass road. Where to stay: You can stay inside the park in day and over night in banglow. There are lakes where you can swim, take boat ride. You can also play in the playground. Another attraction is tree house where you can spend time by chatting with friends and family. What to eat: You can take food along with you. There is a restaurant inside the park where you can take launch and other snacks. If you want to take lunch there, you have to order foods couple of hours ago by selecting items from their menu. Bicycle ride: You can visit the park by going there by cycle. As there is parking option, simple take the route through 300 feet Purbachal highway and get there. Place your cycle in parking area and enjoy your day in the park. Entry Ticket Fee: 100 Taka. There is also parking facility for bicycle, motor bike and car.